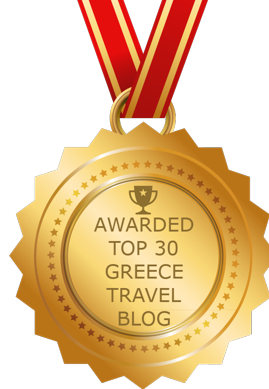 Anastasis Apartments on Santorini was awarded the #1 title in the category Top 25 Small Hotels of the world. 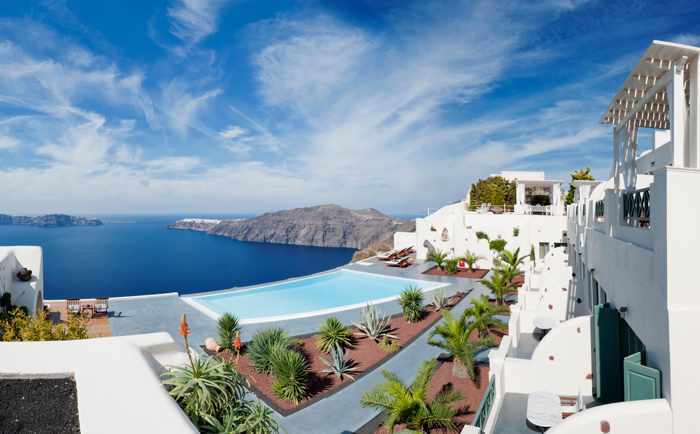 This photo, from the Anastasis website, shows part of the hotel property and its dreamy caldera view. 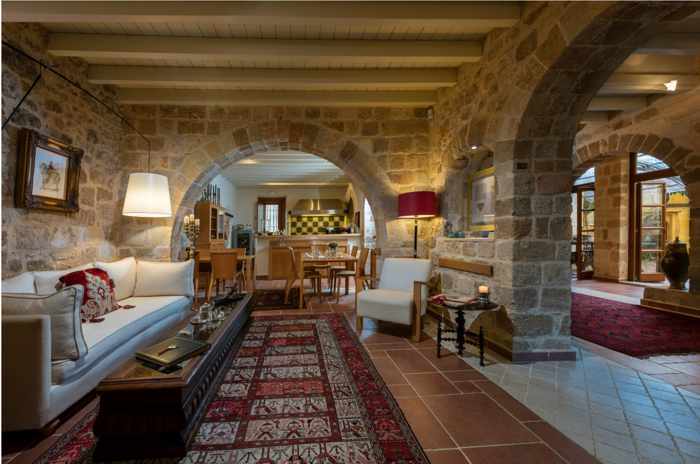 Kokkini Porta Rossa in Rhodes Town, on Rhodes, claimed the #3 position in the Top 25 Small Hotels category. This photo, from the hotel website, shows one of the elegantly-appointed common spaces on the property. Achtis Hotel is the #7-rated hotel for the category of world’s Top 25 Best Service. The swimming pool courtyard is seen here in an image from the hotel’s website. Achtis is located near the village of Afytos in Halkidiki. 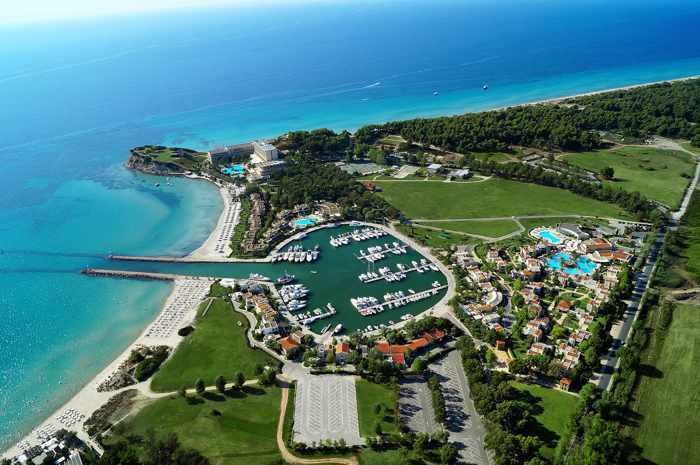 The Porto Sani Resort and its marina is seen in an aerial image from the hotel website. 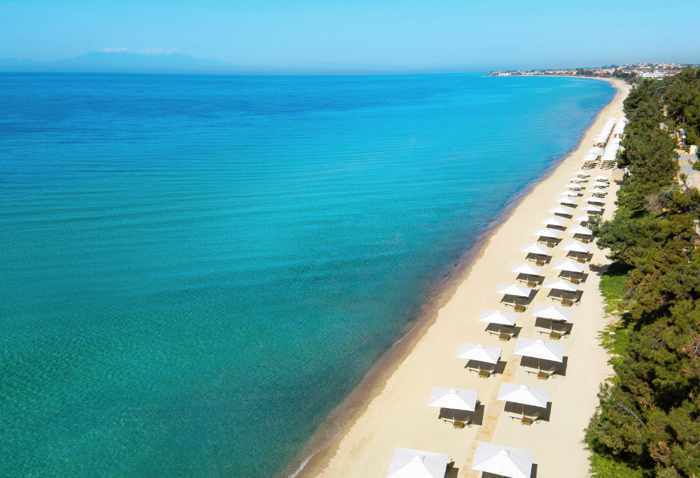 Part of the Sani Resort complex, it’s situated in the Kassandra region of Halkidiki. 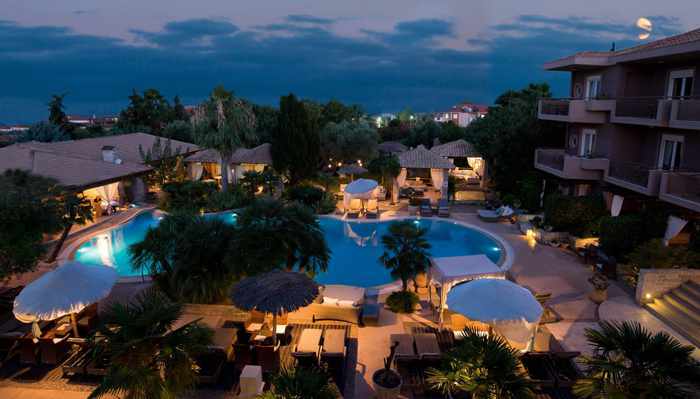 The Porto Sani took 8th place on the TripAdvisor ranking of the world’s Top 25 Luxury Hotels. 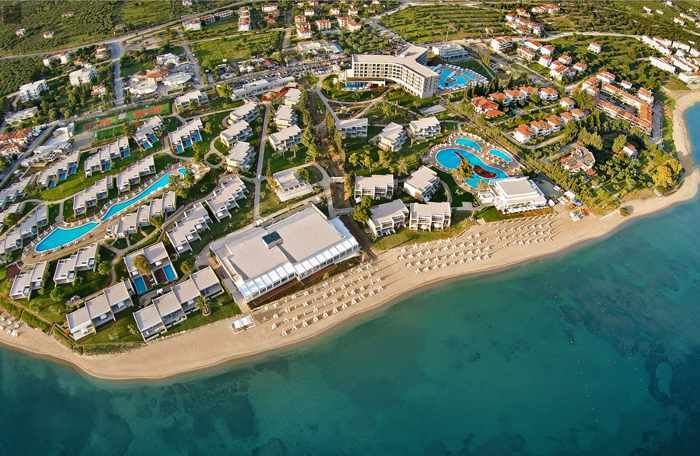 The enticing beachfront at the Ikos Oceania is seen in an aerial photo from the luxury resort’s website. The resort placed #16 on the TripAdvisor list of the world’s Top 25 Hotels. 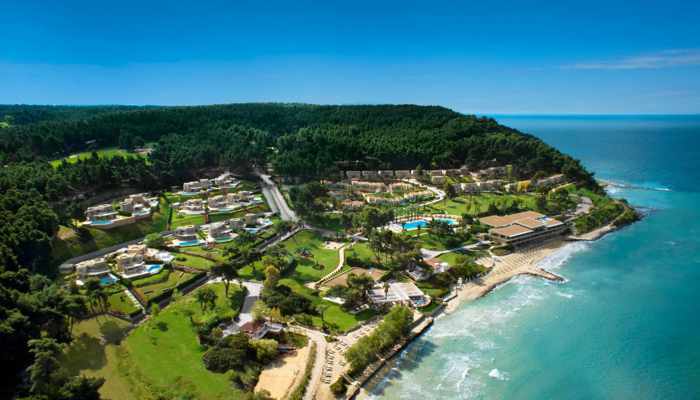 The Ikos Oceania complex is situated in the Halkidiki region of Greece, 50 kilometers from the city of Thessaloniki. 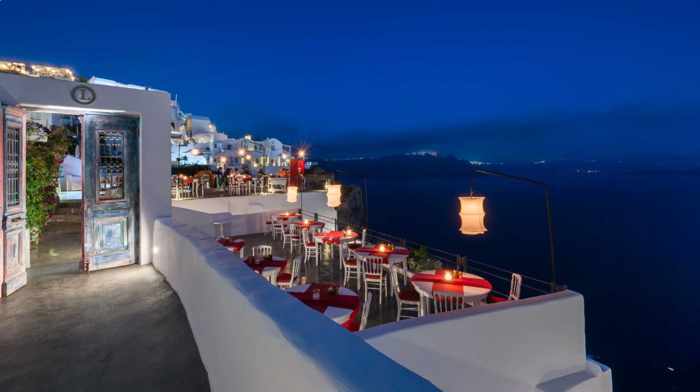 Santorini’s Anastasis Apartments claimed a second award, rating #3 in the Top 25 Hotels for Romance. 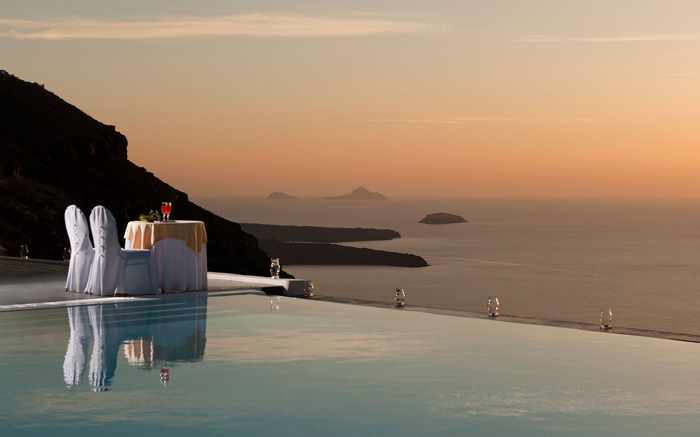 This photo, from the Anastasis website, shows a romantic poolside dining setup with a beautiful sunset view. 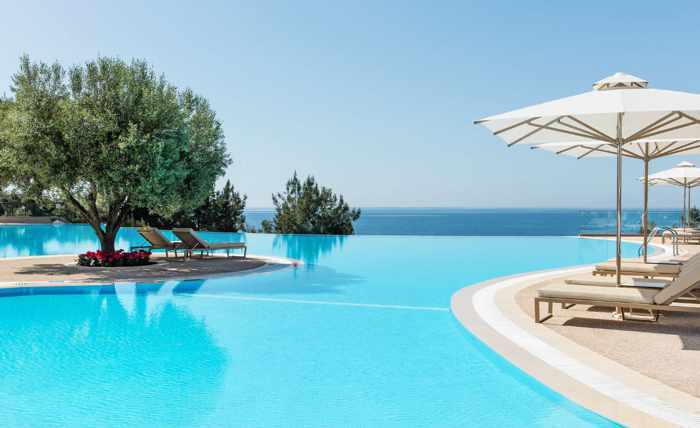 The main infinity swimming pool is seen in this photo from the Ikos Oceania website. The Oceania was honoured with the #1 spot in the world’s Top 25 All-Inclusive Hotels category. 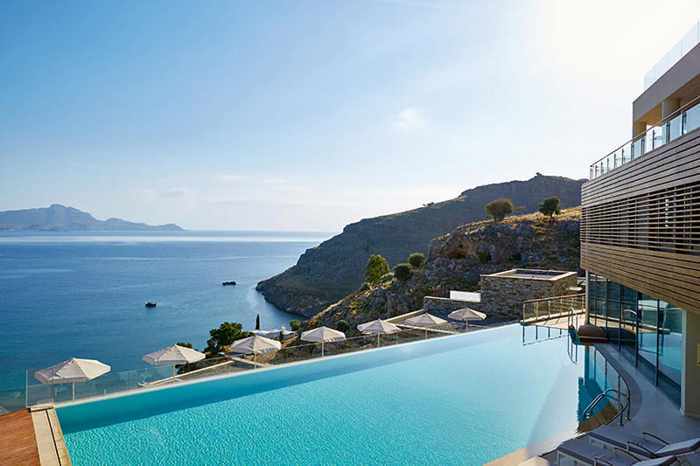 The Ikos Olivia captured 2nd place in the Top 25 All-Inclusive Hotel category. The Olivia is located on the Gulf of Toroneos in the Halkidiki region. Hotel Venus & Suites, seen in an image from its website, took 25th spot on the list of best Bargain Hotels in the world. It’s located near Kalamaki beach on Zakynthos island. The Sani Club Resort, seen in an aerial image from its website, ranked #7 on the list of the world’s Top 25 Hotels for Families. It’s located in the Kassandra region of Halkidiki. 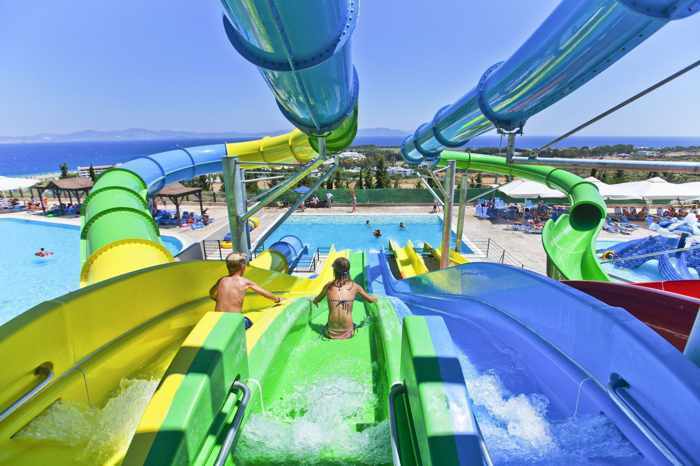 The Kipriotis Aqualand Hotel near Psalidi on Kos island took 15th place in the Top 25 Family Hotels category. Crete is one of the most popular destinations in all of Greece so its no surprise that Trip Advisor has ranked it as fourth in the world! It is a great place to relax but there is also plenty to do!